We are a country of ticking time-bombs, infatuated with an urge to self-destruct. With every step forward, we so graciously sprint a mile back and are left reeling for stability. Several articles have highlighted that our cricket team hasn’t moved beyond the 90s. We’re thrown into a whirlwind of comparisons with other nations but with every other facet of Pakistan regressing (religiously, socially, politically), why would cricket be any different? The problem with Pakistan hasn’t ever been its lack of resources – rather the correct usage of them. We are rash with our emotions, we make decisions on a whim and there is no whisper of any plan for the future. For a cricket board that has former International Cricket Council (ICC) president Ehsan Mani available, they would rather play ping-pong politics than do what is better for the structure and the team. Wasim Akram has offered his services time and again, only to be turned down by the Pakistan Cricket Board (PCB) on multiple occasions. He is currently coaching the Kolkata Knight Riders at the Indian Premier League (IPL) because the rest of the world places value on stars like him, which we simply discard. We’re constantly looking at expending large sums of money on foreigners because our colonial complex is yet to leave us. Perhaps what is most frustrating is that even foreign coaches find Pakistan one of the hardest teams to manage because everyone wants a victory but few in the team are willing to work for it. There is a sense of entitlement amongst the players and the outcomes have you sitting pretty at number eight of the ICC ODI cricket rankings. The Pakistan Cricket Board can cut, copy and paste their responses to failure because their actions and statements have become that generic. With every bad tour comes a need to overhaul the entire system and thus begins the gruelling re-run of a hapless board that makes decisions including scrapping players, introducing ‘new blood’ or has-beens and are back to square one. There is a reason our team lacks chemistry; our players are never given a fair chance. Look at Sarfaraz Ahmed, for example, the supposed oxygen to our team. After two bad ODI games in Bangladesh, despite a brilliant run in the World Cup, he was conveniently dropped. Players should be given the opportunity to secure their place. Every player is allowed a bad game or a bad series, because it is only after you instil that confidence and give him a secure place can he persevere and become a capable world batsman. If he doesn’t play enough ODIs, how will he ever be groomed or get better? Fawad Alam is another such individual who is a slave to the system. One bad series last year and he wasn’t even considered in the World Cup squad. Upon further badgering of the PCB, I found that Fawad Alam is held to a different standard than other less-capable players and has the unfortunate burden to prove himself in every game or is an easy drop. 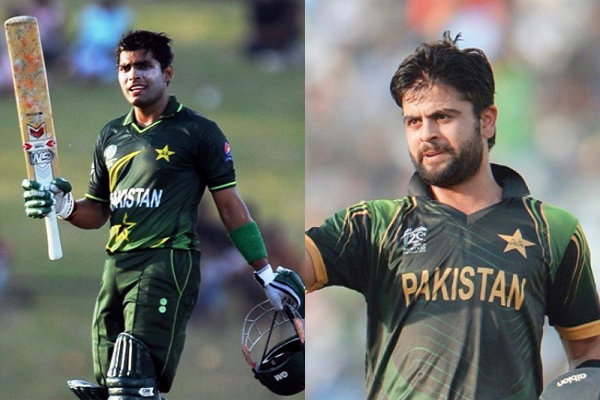 Other players like Umar Akmal and Ahmed Shehzad had more pull and therefore were more likely to be guaranteed a place regardless of their performance. This is the mind-set of the selection committee. This is the level of how wrought with corruption and unjust the system is and then we wonder why our team is falling through the ranks. In 2010, Misbahul Haq, who at that time wasn’t part of the squad, took over a tainted Pakistan cricket team, post spot-fixing scandal and in 2011 became the ODI captain. He stepped down as ODI captain and retired from the format after the World Cup ended earlier this year. In 2015, Azhar Ali, who was not even part of the ODI team that went to the World Cup, was made captain. The clock has stopped. 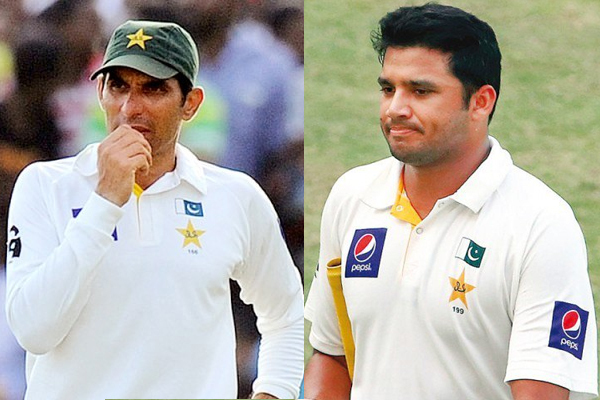 It has been five years but the PCB’s replication of their earlier decisions is uncanny. The PCB looked at nothing but his obvious Misbah-like batting style (with regards to strike rate) and calm demeanour to make him captain of the ODI team. What credentials does he have to take on this position? Is the cricket board really afraid to try and stay at par with the times? It’s frustrating to see countries around the world grooming their young men to be captains, worthy individuals who consistently perform in the squad, while we are happy to pick a rabbit out of our hats, believing in the decision and simply accepting him as our best option. It’s 2015; I’m not looking for calm and stability, and I’m looking for a captain who can lead. Afridi has been named T20 captain till the 2016 World Cup. Decisions like these makes one question if the board even believes the team has a future after our seniors retire. 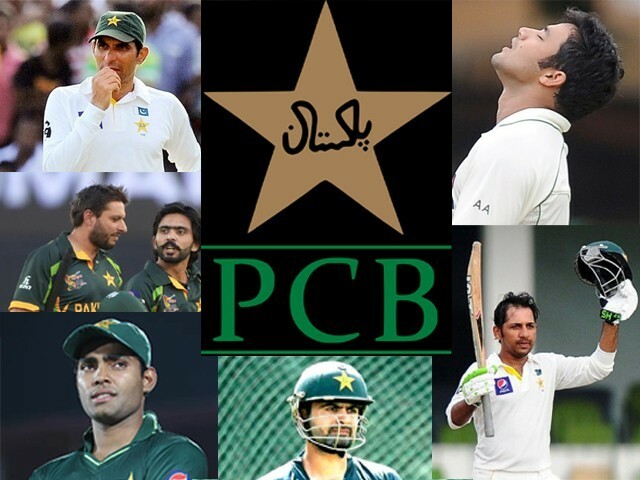 Pakistan cricket has now completed its sixth year without international cricket in the country. We are desperate for our stadiums to be full and to watch our stars play under floodlights like they once used to. The Pakistan Cricket Board has the unique opportunity to improve the current domestic structure and to support and solidify a system that is failing. With every new chairman come changes at first class and other levels of cricket and a flurry of new policies. Now is the time to groom, to create a successful system that churns out the kind of quality players our international team is thirsty for. Raw talent is no longer enough. Fast bowling cannot be our only saviour. A specialist keeper, proper batting techniques, spinners that are mindful of the 15 degree rule, this is what we need, but nothing and nobody seems interested, least of all those in charge. For a cricket board that is chasing Zimbabwe and Ireland to play in Pakistan, they seem to be doing nothing to promote the series they host in UAE against teams like Australia and New Zealand. The marketing of our domestic T20s is virtually non-existent with perhaps two billboards in the cities they are being hosted in. Internationally, the marketing of the ‘home’ series are so haphazard and minimal, one wonders if the PCB even has a marketing department. It seems online forums hosted by fans have more of an impact and create more of a buzz than the board whose incompetence found a half empty stadium on a Friday in Dubai against Australia last year. Like the country that is on its last limb, Pakistan cricket is currently on its ventilator. It doesn’t matter that we lost to Bangladesh, this is a new team, hiccups are only natural, but the question is will we allow these 11 players to develop, to create chemistry, to grow? Like the blind fanatic, I hold faith that the team will rise again, that positive change is around the corner, that we will give back to a sport that has lifted us time and again but for now it is hard to see, for now I am a part of the glass half-empty generation. ..and moreover i dont know about sarfaraz ahmed..but i know one player by the name of sarfaraz khan….who will definitely succeed in world cricket….all the best to my pakistani brothers and sisters…we will pray for u…….